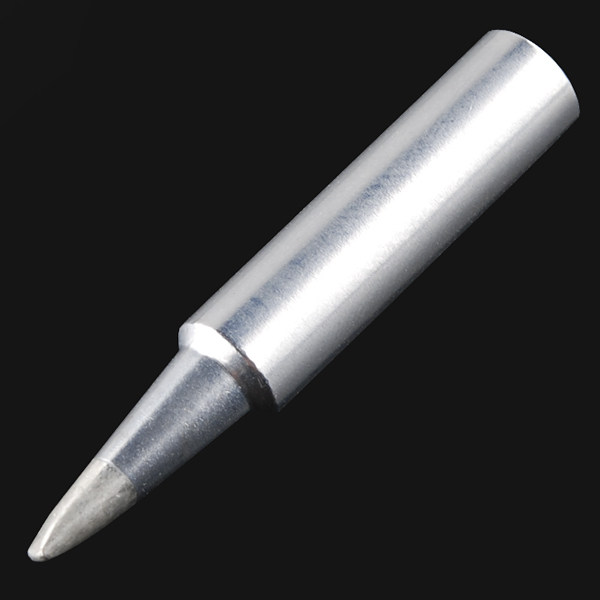 This is a replacement soldering tip for our Hakko FX-888 soldering iron. 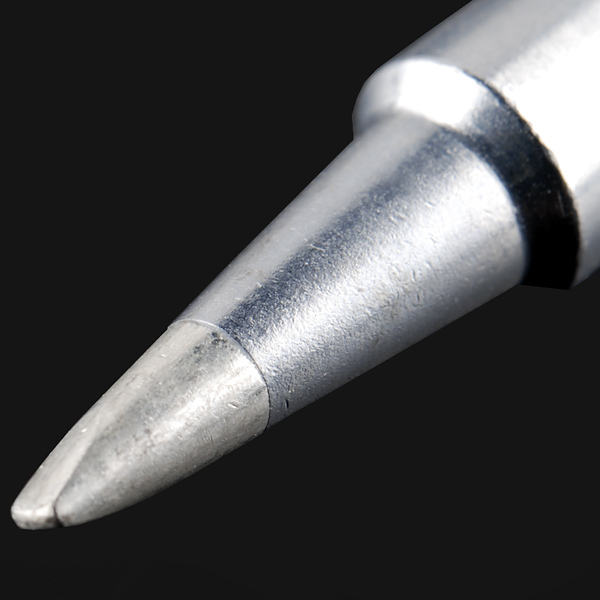 This is the chisel type of soldering tip that comes with the Hakko. Replacing the tip is very easy - simply unscrew the shield, slip the replacement tip in, and screw the shield back on. they are out of stock ,any date when they will become available ? According to Hakko USA "The T18 tip series is a direct "drop in" replacement for the current 900M series tips and can be used with the Hakko 907 iron on the 936, 937 and 928 soldering stations." Thanks for pointing that out! Getting that fixed now. This tip fit my 907 just fine and I like using it way better than the fine point that came with it. Will these tips fit the Hakko 907 Iron? I have an older Hakko 936 Station. I can confirm these will work with the Hakko 907 iron. 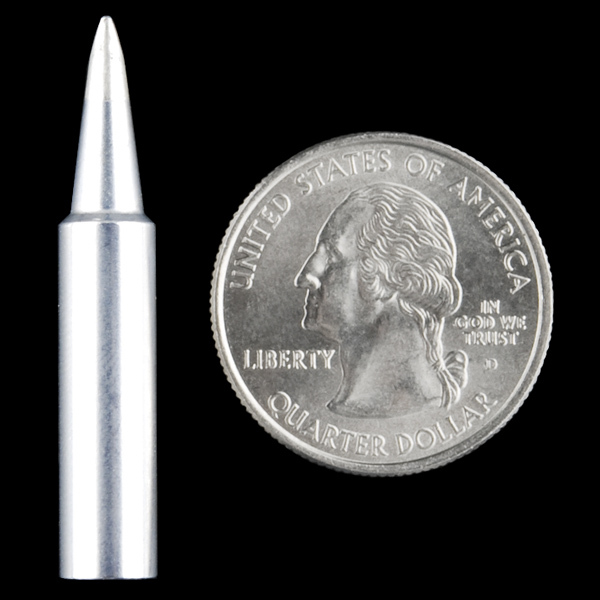 I rolled the dice and ordered one and it is the exact tip that I replaced. Small enough for fairly fine work, but with enough surface area to heat quickly, this is a great all-around general purpose tip. The chisel shape makes it easy to control solder flow.